The study that this post is based on has found that older people are frequently put at risk from being prescribed needless medications. 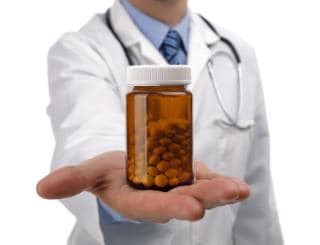 The only reasons that come to mind for prescribing elderly people drugs that do not help them and actually put them at risk, is either incompetence on the part of doctors, or profit making by the doctors themselves or the institution they work for. If the doctors are incompetent, then why would anyone believe them when they state that masturbation is harmless? And if they are prescribing drugs only to make money and not for health purposes, then maybe doctors say masturbation is harmless because they have been paid by somebody to make a claim that they know to be false. The study that this post is based on is reprinted below. A review of 1,800 over 75s at NHS Croydon found that the average patient had been prescribed six different drugs. But after a reassessment hundreds of prescriptions were cancelled, with up to one third of patients taken off at least one drug. Hundreds of prescriptions were stopped because they were no longer effective and dozens because the patients were experiencing side effects or drug reactions. A further 121 patients were sent to their GP for further review, and 89 patients had their dose reduced. The most common drugs which were stopped were the blood-thinning drugs warfarin and clopidogrel, aspirin, alendronic acid for osteoposrosis, cetirizine for hay fever and allergies, laxido for constipation, omeprazole for gastric reflux and adcal-d3, a drug to boost calcium and vitamin levels. The research, carried out by pharmaceutical consultants Interface Clinical Services, predicted that the changes would save the NHS around £192,000 a year. However there are more than 5 million over 75s in Britain, which suggests that the cost savings across the country if everyone was similarly assessed could amount to millions. Charities said polypharmacy – in which patients are prescribed a number of drugs – was becoming an increasing problem. Caroline Abrahams, Charity Director at Age UK, said: “We know that the more medications you take, the greater the risks, such the risk of giddiness and of falling. This is because of what happens when ?different drugs interact and in the worst cases older people can even end up in hospital. “This will be an increasing problem as our population ages, with as many as three million older people expected to be regularly taking multiple medicines by 2018. Katherine Murphy, Chief Executive of The Patients Association, added: “The Patients Association has been aware for some time about the problem of patients being prescribed too many different medicines, often with one medicine being prescribed to reduce the symptoms of another. “The lack of any regular review of a patients medication sometimes over several years, is concerning, particularly for vulnerable older people who may feel unable or are unwilling to challenge this aspect of their care. “There is a clear and steady increase in the number of patients admitted to hospital with drug related side effects ,” said a spokesman for Interface. The research was presented at the Royal College of GPs annual conference. In the egyptology section which has been hidden by people of evil forces that gives me a spark of hope that all these things retain so much of value. I see pyramids on top of ancient temples here in india.Do those resemble mòksha people get if you have a strong pyramid? Like you mention in your video on youtube? Those all things are so important still. I was amused by western technology but now i understand how it affects people all over the world by how they forget their own culture and try to fit in the new world. I saw in Sciforums you mentioned Shiva having a fountain of youth going up from his head instead of Ganga. I totally flipped reading that like seriously you have so much knowledge sir. I am a Jain. I follow the religion Jainism. It has 24 tirthankars . In Jainism, a tirthankara (Sanskrit tīrthaṅkara) is a saviour and spiritual teacher of the dharma (righteous path). The word tirthankara signifies the founder of a tirtha, which is a fordable passage across the sea of interminable births and deaths, the saṃsāra. According to Jains, a tirthankara is a rare individual who has conquered the saṃsāra, the cycle of death and rebirth, on his own and made a path for others to follow. After understanding the true nature of the Self or soul, the Tīrthaṅkara attains Kevala Jnana (omniscience), and the first Tirthankara refounds Jainism. Tirthankara provides a bridge for others to follow the new teacher from saṃsāra to moksha (liberation). You can google Parshvanatha and Mahvira can you explain to me why parshvanath god has snakes above his head.? New Study Says Taking Ibuprofen Increases Chances For Hospital Admission For Heart Problems Scientists Claim Phrenology Is Not A Valid Science. Now, In 2017, A Computer Application Used To Diagnose Genetic Diseases From Facial Pictures Proves That The Basic Principles Of Phrenology Are Correct.